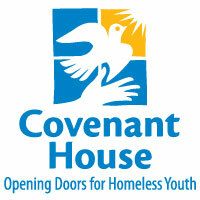 Covenant House International is the largest privately-funded agency in the Americas providing shelter and other services to homeless, runaway and�at-risk youth. It has facilities in 21 cities throughout the United States, Canada, Guatemala, Honduras, Mexico and Nicaragua. Covenant House International also operates 24-hour crisis hotlines. Covenant House International and its member sites are leading advocates on behalf of street youth at local, state, national and international levels of government. Covenant House International is a member of the Non-Government Organization (NGO) Board of Directors of UNICEF and has taken on a prominent role in The Campaign for U.S. Ratification of the Convention on the Rights of the Child (CRC. )� In addition to food, shelter, clothing and immediate crisis care, Covenant House provides a variety of services including medical care, educational and vocational programs, drug abuse treatment and prevention programs, legal aid services, recreation programs, mother/child programs, transitional living programs, life-skills training and street outreach.